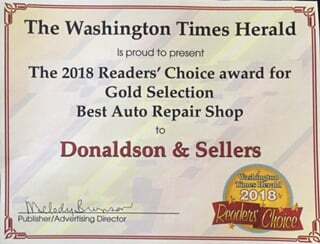 Voted Best Auto Repair Shop! 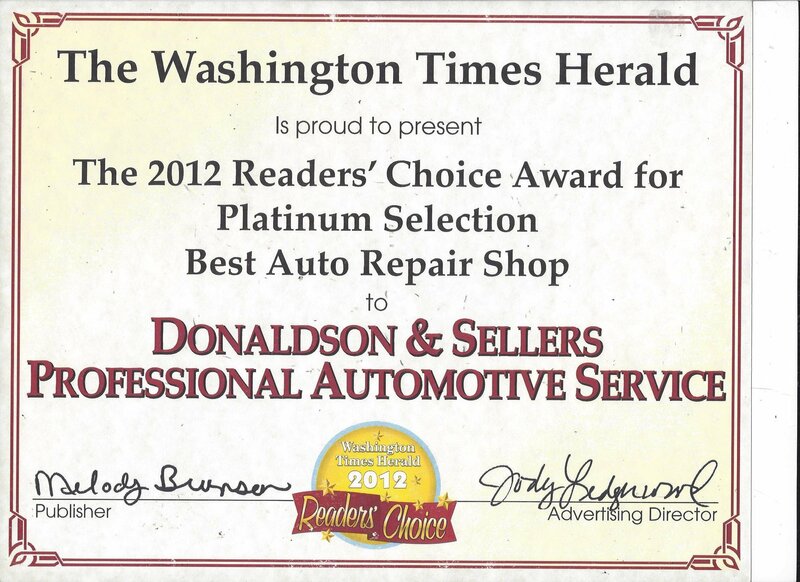 When it comes to your automobile, you only want the highest quality parts and services. 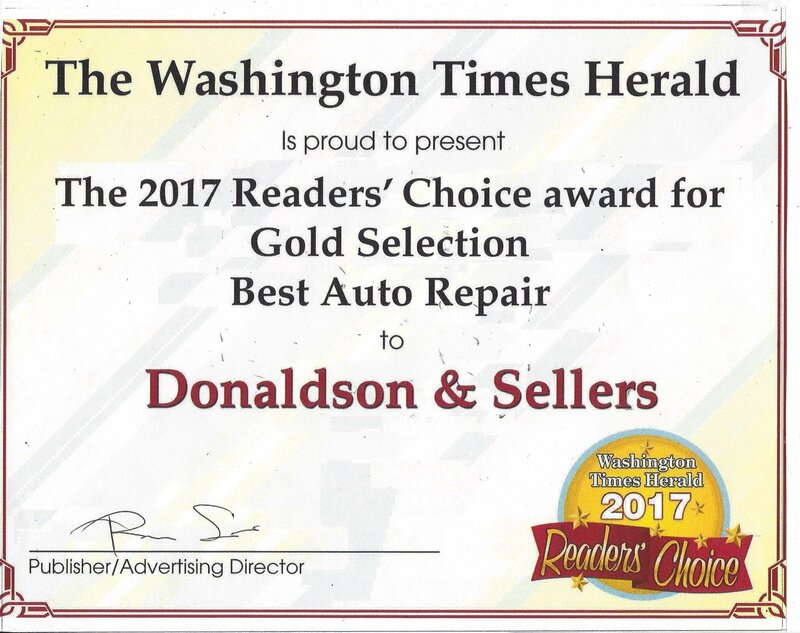 At Donaldson and Sellers Professional Automotive Service, we are committed to providing our customers with unparalleled quality at competitive prices. As a Certified repair facility, your repairs are covered with a 3-year 36K mile nationwide warranty on most repairs. 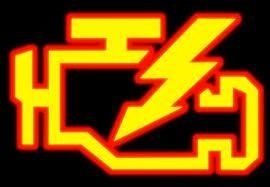 We are up to date on all the latest technology and diagnostic equipment to diagnose and repair your vehicle. We are well known in our community and have an excellent reputation. Our customers value our honesty, professional knowledge, and timely service. Our team offers over 100 years of combined automotive experience. 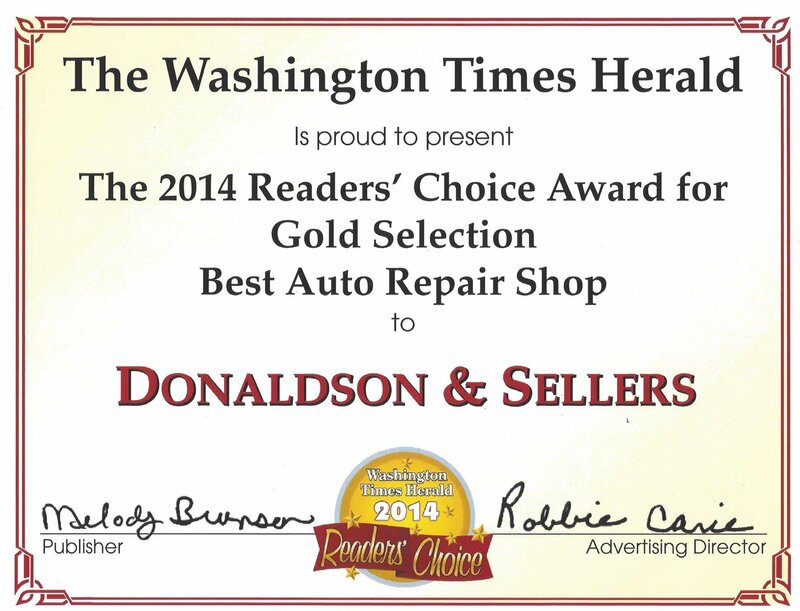 No matter the season, Donaldson and Sellers Professional Automotive Service has your automotive needs covered. Let us handle your automotive needs so you can get back to your day.